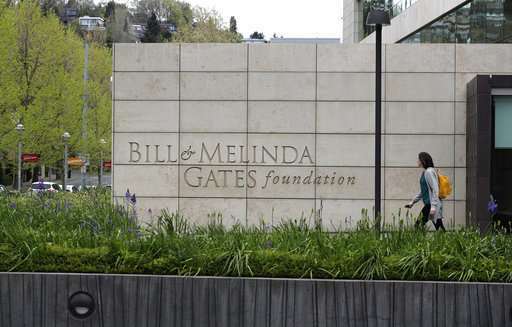 His non-profit, Bill and Melinda Gates Foundation, has given about $44 million to outside groups over the past two years to help shape new state education plans required under the 2015 law, according to an Associated Press analysis of its grants. The spending paid for research aligned with Gates interests, led to friendly media coverage and even had a hand in writing one state's new education system framework. The grants illustrate how strategic and immersive the Microsoft founder can be in pursuit of his education reform agenda, quietly wielding national influence over how schools operate. Gates' carefully curated and intersecting web of influence is often invisible but allows his foundation to drive the conversation in support of its vision on how to reshape America's struggling schools systems. 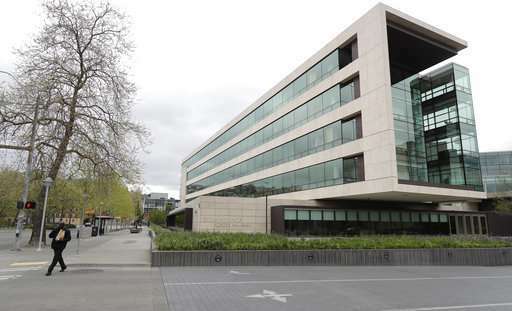 Critics call it meddling by a foundation with vast wealth and resources. The Gates Foundation says it's simply helping states navigate a "tectonic" shift in responsibility for education—from the federal government to more local control. The Gates Foundation spent about $44 million focused on the 2015 federal education law called the Every Student Succeeds Act. The law gives states flexibility to create their own education system framework defining what a "good school" is—and in turn states get federal dollars for complying with their own rules. The law requires academic standards, which means that the backbone for most state education systems is the Common Core—a symbol for many critics during the Obama years of federal overreach in schools. Gates was influential in supporting the Common Core academic standards, and now is doing the same as states sort out the best ways to implement their education policies under the 2015 law. In Tennessee, a Gates-funded advocacy group had a hand in the state's new education plan, with its leader sitting on an important advising committee. A media outlet given money by Gates to cover the new law then published a story about research funded by Gates. And many Gates-funded groups have become the de facto experts who lead the conversation in local communities, across states and featured nationally. 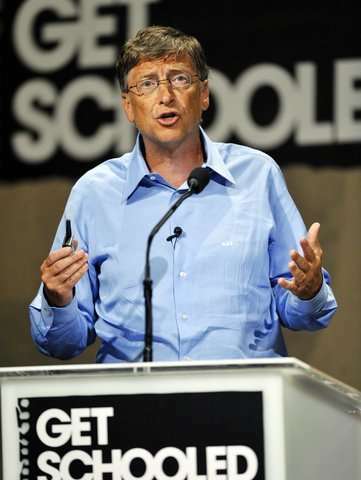 Gates also dedicated millions of dollars to protect Common Core as the new law unfolded. Patrick McGuinn, an education policy expert and professor at Drew University, said the Every Student Succeeds Act removed the political pressure from the standards despite how politically toxic Common Core has become. The policy idea suggests every child can and should be taught the same things as their peers. 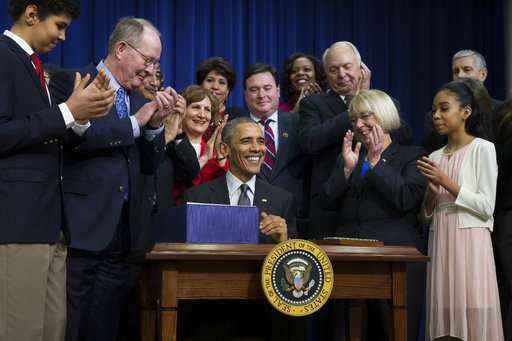 "ESSA politically was probably the best thing that could happen to Common Core," McGuinn said. And long before thousands of fed-up teachers walked out on the job in four unprecedented statewide strikes this year over pay and school conditions, education union officials had rung the alarm bell about Gates' influence. "They thought they could socially engineer all of public education through a top-down model and that they could reduce education to an algorithm, but kids are not widgets and teachers are not widgets," said Randi Weingarten, president of the American Federation of Teachers. The national teachers union in 2014 famously broke ties with Gates over Common Core after initially supporting the standards. To be sure, the Seattle-based foundation's education spending is just a small fraction of its philanthropy, which is primarily focused on global health and development. Still, in terms of dollars, it is the top funder of schools reform in the United States. The foundation since 2001 has contributed more than $6 billion toward reshaping American schools, including nearly $300 million on Common Core by some estimates. The groups receiving the recent ESSA-related grants said the money from Gates and other like-minded philanthropies—such as the Carnegie Corporation of New York and William and Flora Hewlett foundations—was used to develop expertise in the education law so that they could be a resource to states. Most of those same groups have been funded by Gates in other initiatives, including some of the most prominent Washington-based policy players who developed Common Core in 2009. The 74 said Gates doesn't influence the direction of their coverage and that the money funded its broader operation. After the AP's inquiry, the education news outlet acknowledged an oversight by updating the nearly year-old story to add a Gates funding disclosure.